They’re all out of Twinkies (and everything else) at the abandoned Wonder Bread bakery located at 641 S Street NW between 6th and 7th in Washington, DC. 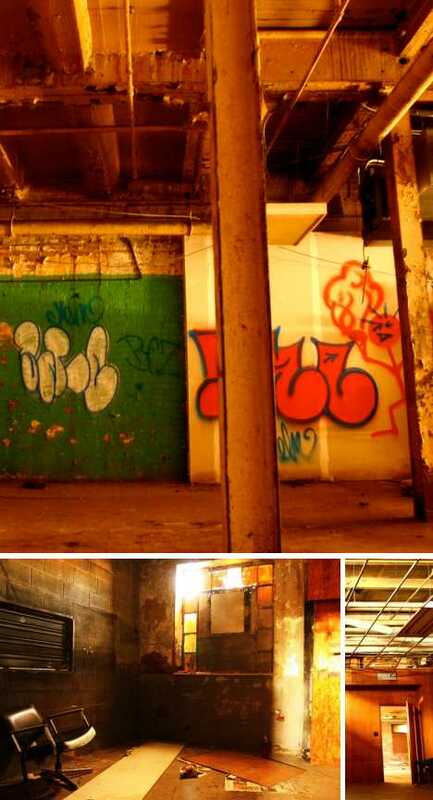 It seems there’s an afterlife for abandoned bakeries, however, as the building that opened as Dorsh’s White Cross Bakery in the early 1900s, closed in 1988 and then sat empty and abandoned since 1997 is being redeveloped as loft-like commercial office space. Flickr user Ronnie R puts his super-saturating HDR photo-fu to good use (above top) when documenting the advanced decay of some of Washington DC’s urban landmarks. Credit Venezuelan-born photographer and photojournalist Luis Gomez with the really “sweet” image above. Zooming in on one of the Wonder Bread bakery’s most salient features, Gomez allows both the signage and the masonry to resonate with viewers to best advantage. Flickr user congoeels (Randy Fox) perfectly captures the matter-of-fact state of decay slowly subsuming the abandoned Stagnos Bakery in Pittsburgh, Pennsylvania. The photo was taken on December 30th of 2010 and both the ambiguous mid-winter daylight and dull wetness of the streets enhance the building’s sad ambiance without overwhelming it. The Staudt Bakery has sat silent, abandoned and unoccupied on Hillsborough Street in Raleigh, NC, for around 50 years. 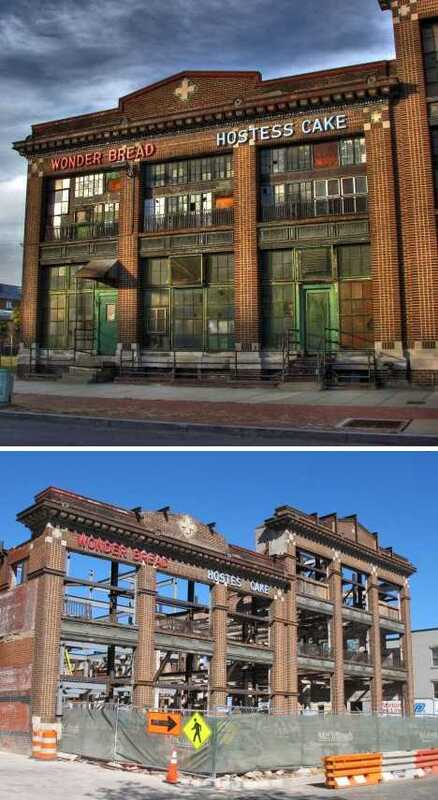 The building dates from the late 1930s to early 1940s and at one time was a prosperous going concern. Fleets of company-owned trucks delivered all manner of baked goods to retail outlets in the Raleigh area. 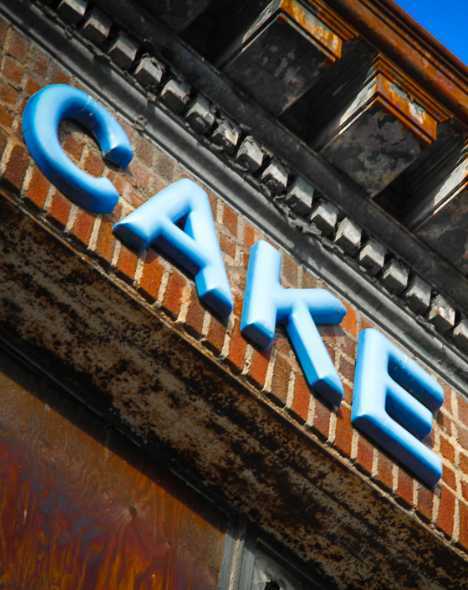 Although its location roughly between downtown Raleigh and NC State University would seem to be ideal, potential developers have been stymied by the current owners’ desire to sell the long-closed bakery only as part of a larger group of properties. Even if a sale should succeed, loud local opposition to high-density developments has served to frighten off investors. 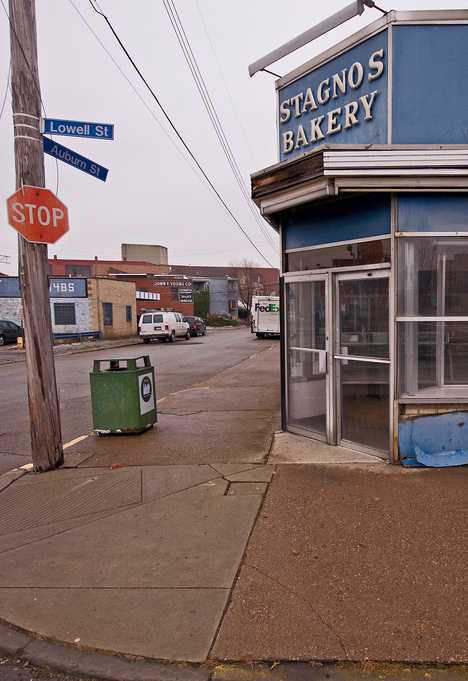 Could the Staudt Bakery set a record for being the longest lasting urban abandonment? Tune in 50 years from now and find out! 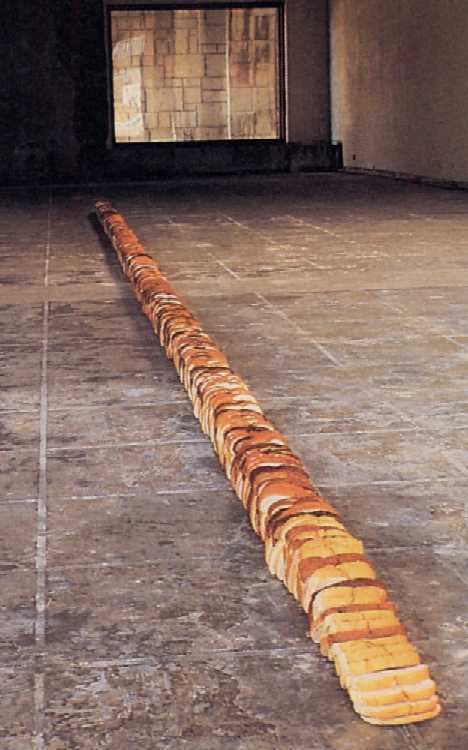 Does laying down a 35-ft long row of bread slices across an abandoned bakery floor clash with the stereotypical concept of the starving artist? Maybe that’s what Lynn Aldrich had in mind in 1991 when she unveiled “Bread Line” at the abandoned Chapman Market bakery in Los Angeles. “All that one acquires or produces culturally fades away,” elaborates Aldrich, “so that the awareness of death gives everything that feeling of not being able to truly satisfy.” Plenty amid scarcity; fresh bread in a bakery whose ovens have cooled for good. Definitely a slice of life… or 35 slices as the case may be.